Your kidneys are bean-shaped organs that are located in the middle of your back against the back muscles, with one on either side of your spine. Your kidneys provide a vital function for your body to filter blood and produce urine. Pain in your upper abdomen or back and sides is also called flank pain or kidney pain. Flank pain can sometimes be an indication of a kidney infection or urinary tract infection. Kidney stones are also a common cause of kidney pain that is felt in the middle back. In some cases of kidney pain, there are a few simple steps to alleviate the pain in your back. However, in general, you should see a doctor for any type of kidney or flank pain to rule out any serious condition that causes the kidney pain. This includes acute, sharp pain that occurs suddenly in one or the other side of your middle back. In this article, you will find out all you need to know about the causes of flank pain that are associated with your kidneys. This will help you tell the difference between general back pain and pain that comes from your kidneys. Therefore, most infections or issues with your kidney health cause flank or middle back pain. Usually, kidney pain is different from back pain because is it constant and doesn’t get better if you move position or massage the area. Your kidneys are closely connected with your urinary tract and filter out waste from your blood and get rid of excess fluid. 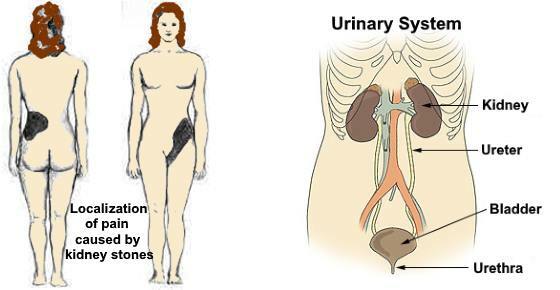 Urine from the kidneys flows down the urinary tract and into your bladder. You then get rid of this waste product when you pee. Keeping a balance of electrolytes in your blood. Producing a hormone called erythropoietin (EPO) which is required for making red blood cells. Removing waste from your blood. Most people tend to associate pain in the area between the ribs and hips as either digestive problems or muscular back pain. However, kidney pain isn’t always felt in the same place as the kidney’s location. Usually, back pain is distinguished from kidney pain because it may get better or worse when moving the back muscles. Unlike kidney stone pain which comes on in sharp, painful waves, back pain is more constant and connected with movement. In general, flank or kidney pain is usually higher in the back just under the ribs and the pain sensation is deeper. Back pain that is muscular is usually in the lower back. Most kidney or flank pain is felt around the location of the kidneys. However, as you will see, depending on the cause of kidney pain, kidney disease and infections can cause pain sensations elsewhere in your body. Kidney stones are one of the most common reasons for severe sharp, flank pain that may radiate to your groin area. One of the first signs that you have kidney stones is a severe pain below the ribs on your side and back. According to the Mayo Clinic, the pain can then spread to the lower abdomen and you could experience nausea, vomiting, pain when urinating, and fever. Kidney stones form when minerals and salts form in the kidney into tiny stone-like substances. Although tiny, the pain they can cause in your kidneys and urinary tract can be excruciating. According to doctors from the Mayo Clinic, it is only when the mineral deposits in your kidneys move that they cause pain. One of the first signs is an agonizing pain in your flank, below your ribs. Depending on where the stone moves, the pain from the kidneys may come and go and radiate to the lower abdomen and groin.6 Some of the other symptoms of kidney pain are passing cloudy or pink urine, painful urination, and having to pee more than usual. There are a number of ways to treat kidney stones naturally. 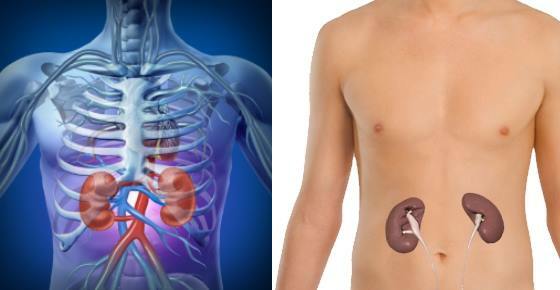 For example, you can drink apple cider vinegar for kidney stones to help dissolve the mineral buildup in your kidneys. You should drink a glass of water with 1 or 2 teaspoons of cider vinegar frequently through the day. The acidic nature of apple cider vinegar and the increase in your fluid intake helps to dissolve and flush out the kidney stones. Because your kidneys in your middle back are connected to your urinary system, a urinary tract infection can also cause kidney pain. Dr. Siamak Nabili on eMedicineHealth says that bacteria can enter the urinary tract and cause an infection. Bacteria can reach the kidneys via the urinary system and cause a kidney infection resulting in a dull pain on the side or in your lower back.7, 8 Some other symptoms of a UTI are a fever (however, sometimes you could experience chills without a fever), bubbles in your urine, or discolored urine. Dr. Adam Husney on WebMD says that a urine test showing the presence of nitrites in your urine is a strong indicator that bacteria is the cause of the infection. Your doctor may also check for leukocytes in your urine which can also indicate a bacterial urinary tract infection. You can prevent a urinary tract infection from causing a kidney infection by treating the early UTI symptoms. The infection in our kidneys may also cause symptoms like fatigue, blood in your urine, lack of appetite, and lower back pain. Dr. Thompson explains that as well as causing flank pain, kidney injuries can result in passing very little urine, swelling in your legs, loss of appetite, nausea and vomiting. Blood clots can be very serious and a clot in the vein that drains blood from the kidney can cause lower back pain. One of the reasons why you can have kidney pain is because a cyst has formed in your kidneys. Sometimes, small sacs of fluid form in the kidney and usually don’t cause any harm. Dr. Melinda Ratini on WebMD says that in most cases a kidney cyst doesn’t cause any symptoms. However, if the cyst becomes larger and presses on other organs, it can cause pain in your upper abdomen, flank, or side. In some cases, a kidney cyst can become infected which will result in pain that could radiate to your lower abdomen or groin. If you have flank pain and signs of an infection, you should see your doctor immediately. Pregnancy can sometimes cause kidney pain. Being pregnant puts you at a greater risk of developing a urinary tract infection or blood clots all which can cause a sensation of pain in your middle back. In its early stages, kidney disease doesn’t cause any symptoms. It is usually only when the disease is advanced people realize they have serious issues with their kidneys. One of the early warning signs of kidney disease is lower back pain. Make sure to avoid these common habits that can damage your kidneys. If you have diabetes, you can follow a diet that doesn’t put a strain on your kidneys and can help prevent kidney disease and the pain that accompanies it. This includes reducing salt intake and protein. Regular exercise and not smoking or drinking will help keep your kidneys working better. In some cases, constant pain coming from your kidneys and your middle back could be a symptom of kidney cancer. However, there will usually be more cancer warning signs, not just kidney pain. Kidney pain that you feel in your middle back or that radiates to your abdomen or groin is usually an indicator of a serious health condition. NIDDK. Your kidneys and how they work. MedicineNet. 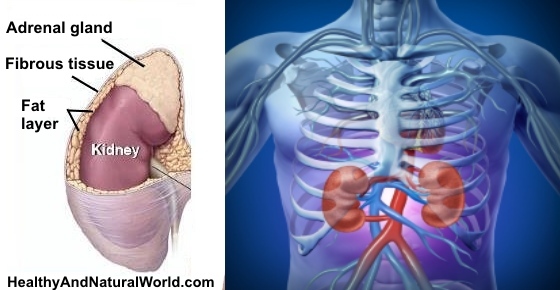 Kidney pain – signs and symptoms. eMedicineHealth. Kidney infection – signs and symptoms. WebMD. What are kidney infections? MedicineNet. Kidney infection in pregnancy. Kidney. 3 early warning signs of kidney disease. Cancer. Signs and symptoms of kidney cancer.